I got a rock. 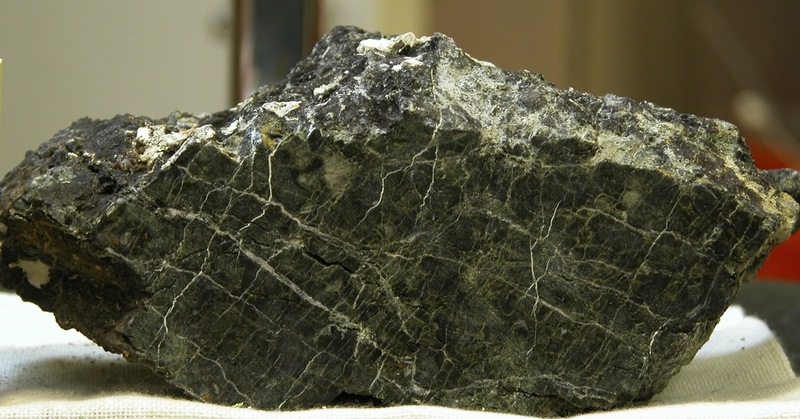 Actually, that's Serpentinite (thanks for the photo NOAA), and it makes an appearance in Feast Days. And I got to talk about that cameo, plus a bunch of other things, thanks to David Starkey, who interviewed me about the chapbook for the Independent. George Yatchisin’s newest collection of poetry is Feast Days. Yatchisin is the communications coordinator for the Gevirtz Graduate School of Education at UC Santa Barbara, and he writes about food and drink for venues such as The Santa Barbara Independent and Edible Santa Barbara. You took some time off from writing poetry. Can you talk about that a bit and discuss why you’ve come back to it? It was a good, no pun intended, 15 years off, actually. I came up with two half-jokes to explain it. The first was, either I could write poetry or be happy. The second was, you can only write the “language is a tool that fails us” poem for so long before you at least convince yourself. It was also that I didn’t feel language coming to me in poetic ways; I didn’t stop writing prose, but you get to be easier on yourself in blogging and journalism — there’s not that same need for precision and concision. I say that with all apologies to brilliant journalists like Joe Posnanski, Ellen Willis, Molly Ivins, etc. Then in some ways, poetry came back to me.